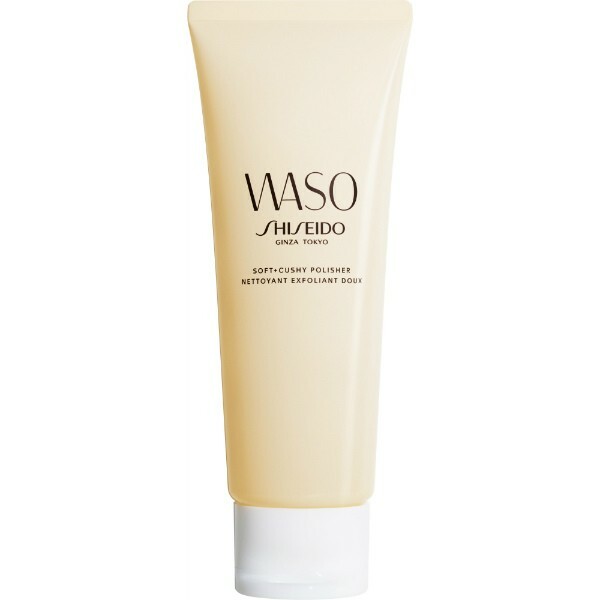 Give your complexion a new lease of life with this gentle creamy exfoliator with an environmentally friendly formula. After cleansing, take a small amount onto the fingertip and smooth over the face, avoiding the mouth and eye area. Lightly massage in circular motions and rinse thoroughly with lukewarm water. Use 1-2 times per week. Ideal for all skin types, this exfoliator gently polishes skin and clears pores. Plant-based cellulose granules are suspended in a whipped formula and combined with tofu, made from soybeans to help smooth and support skin. A must-have in every skincare routine, the revitalising scrub contains sebum absorbing powder and soy extract to remove surface cells, excess sebum and impurities deep in pores, so that skin looks and feels beautiful every day.